After my experience with the airport shuttle, I honestly didn’t have overly high expectations of Carlos’ Shuttle. Thankfully, I was proven wrong. I was given a timeframe of 6 – 7 am to wait for their shuttle, and at 6.30, one of their employees showed up. So for 250 NAD, I was on the five- hour journey from Windhoek to Walvis Bay. I must be getting old, because by the time I showed up at Walvis Bay at 1 pm, I was wiped. 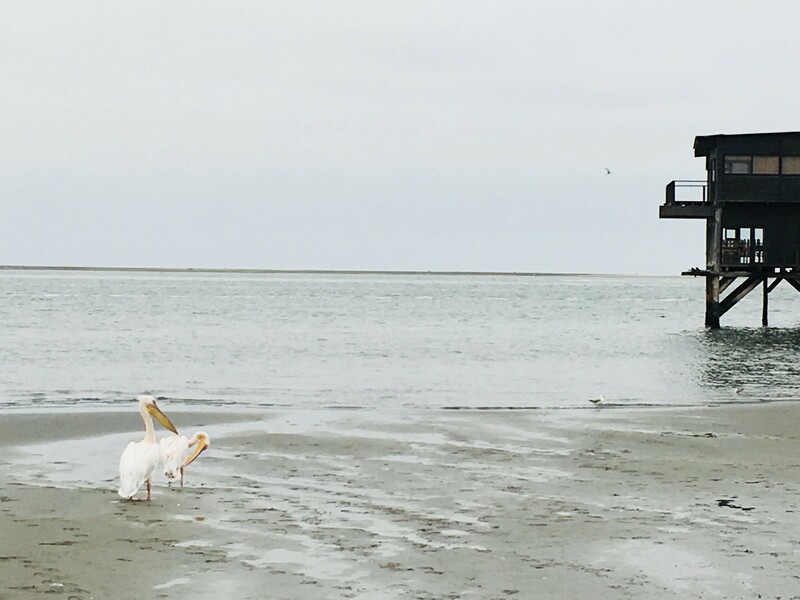 The hotel is located at the edge of Walvis Bay, and in the evening, I saw some cool pelicans hanging out around the eponymous Pelican Bay. Being a Sunday, most places were closed, again.